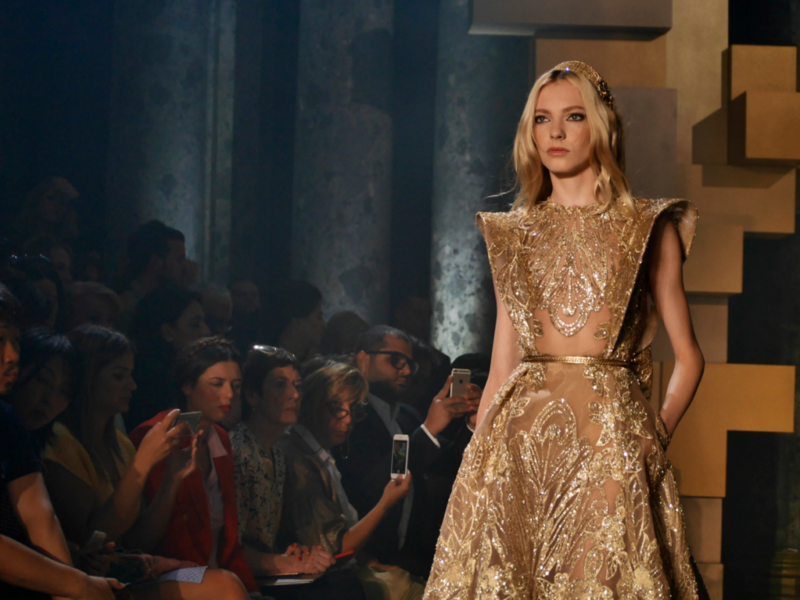 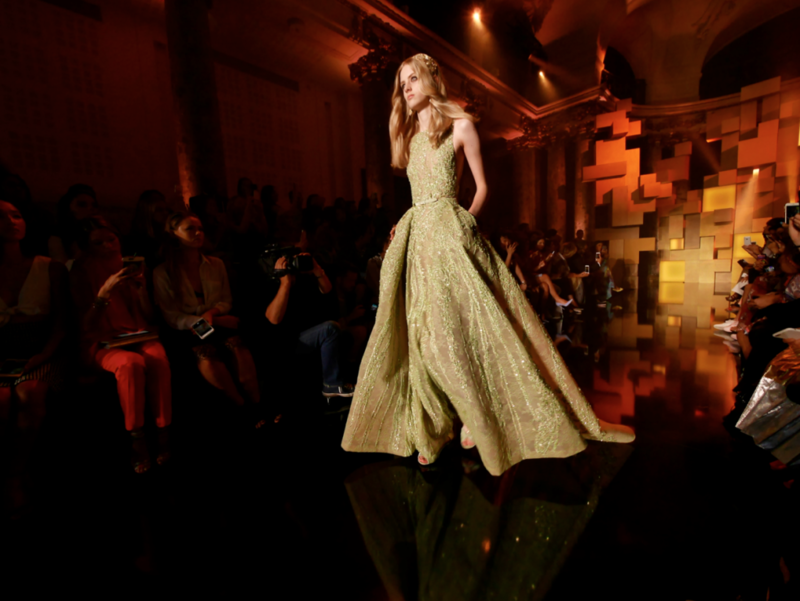 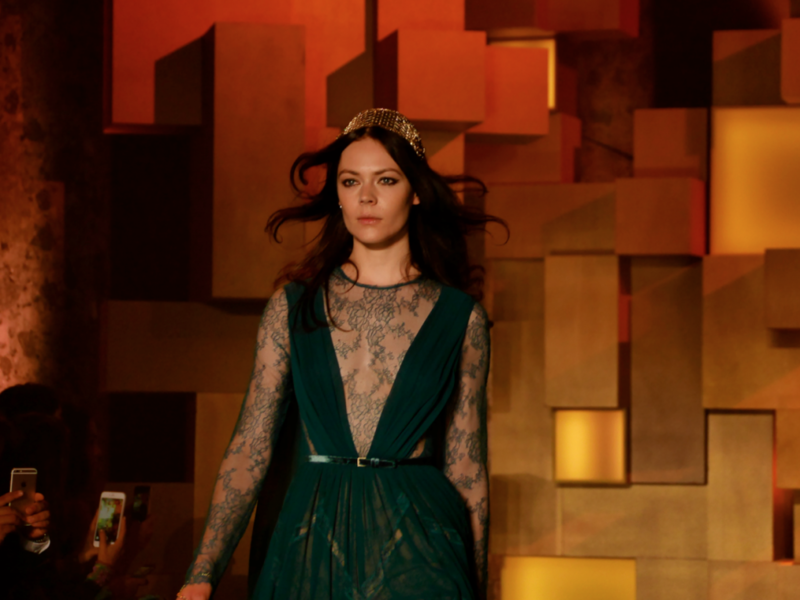 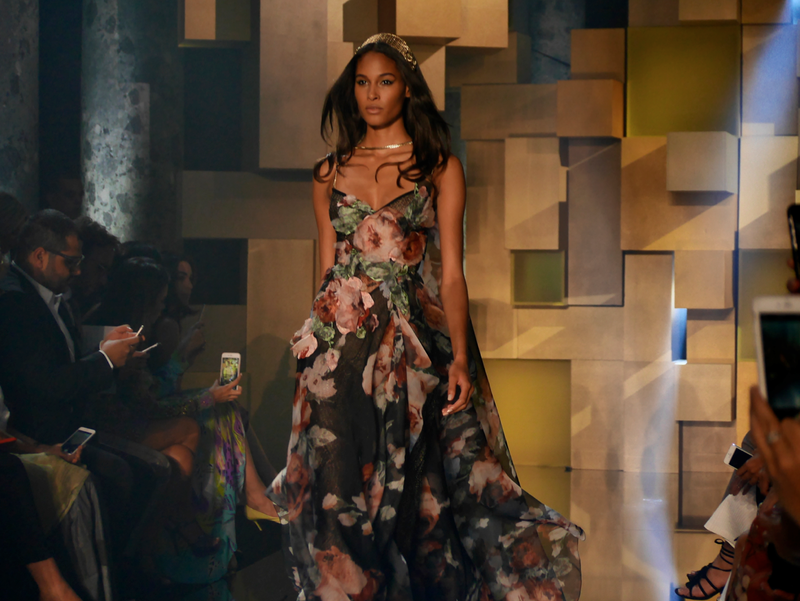 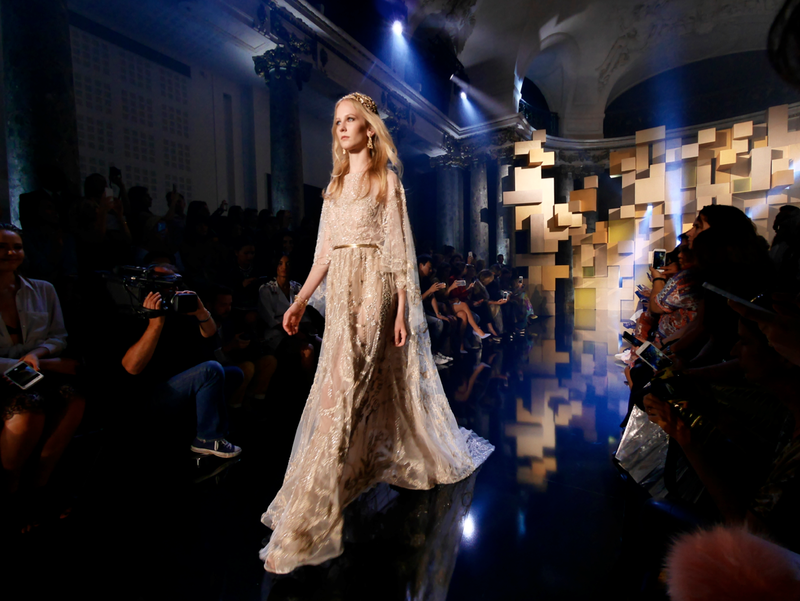 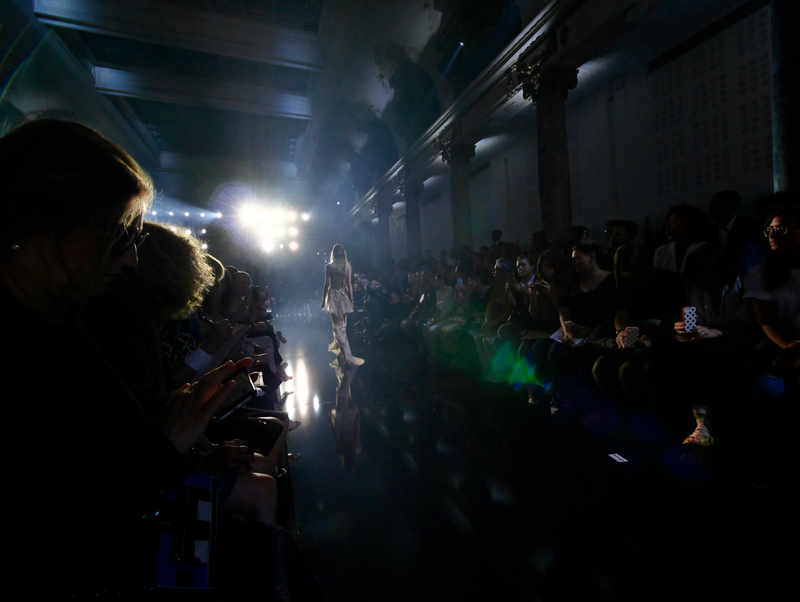 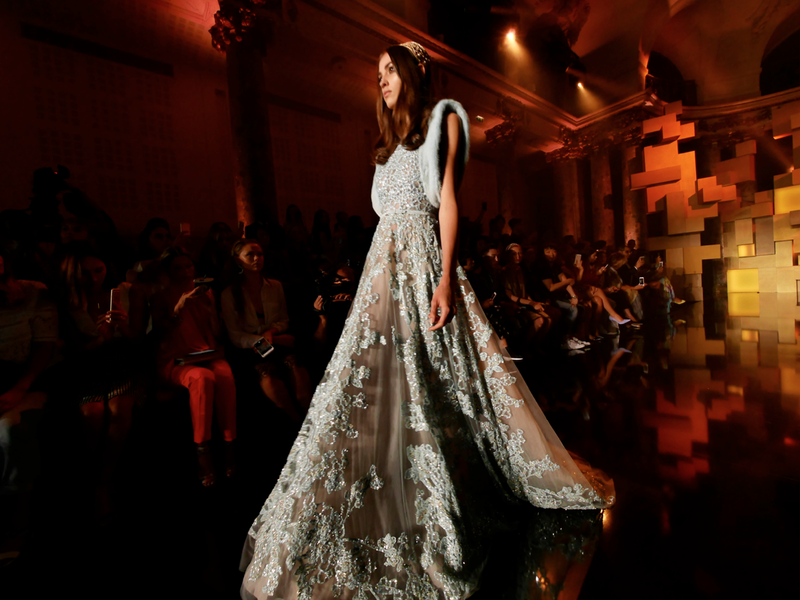 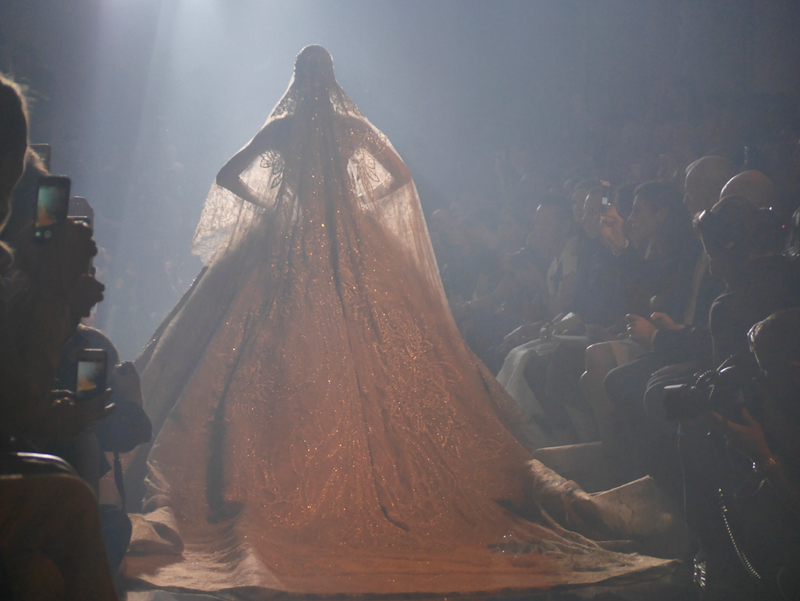 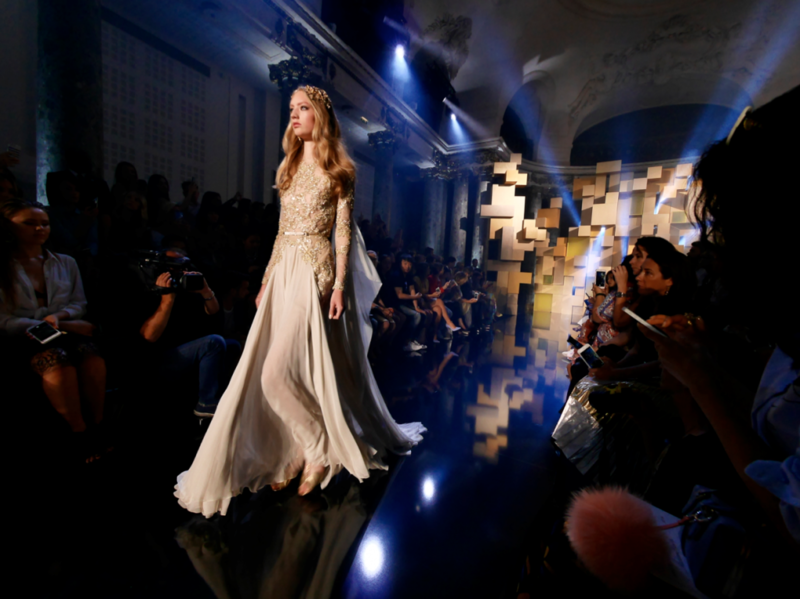 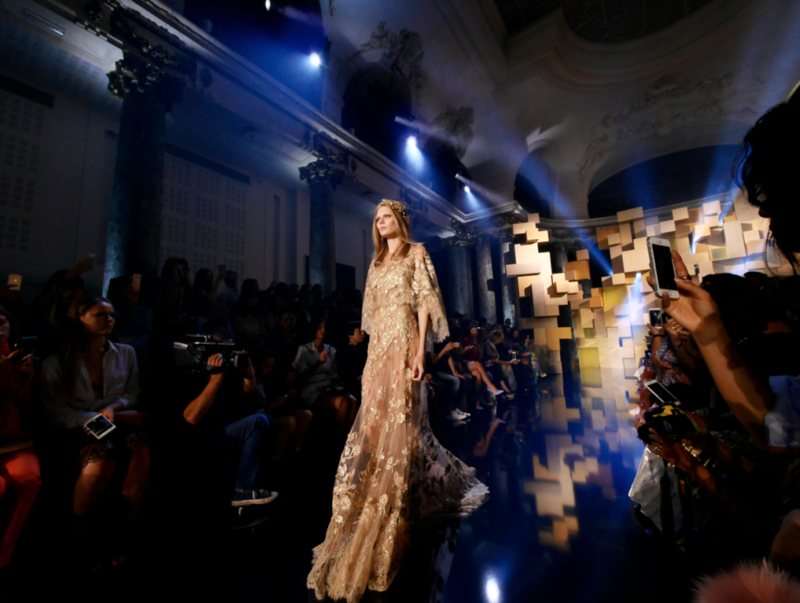 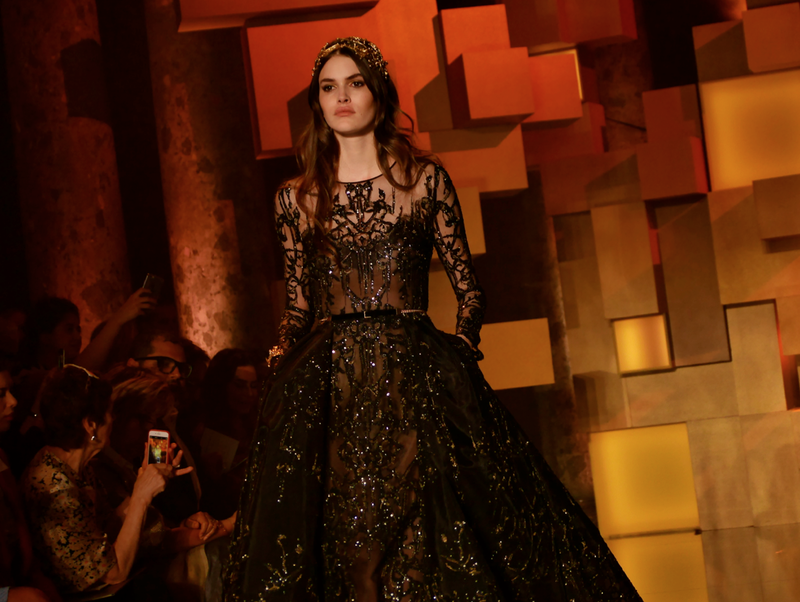 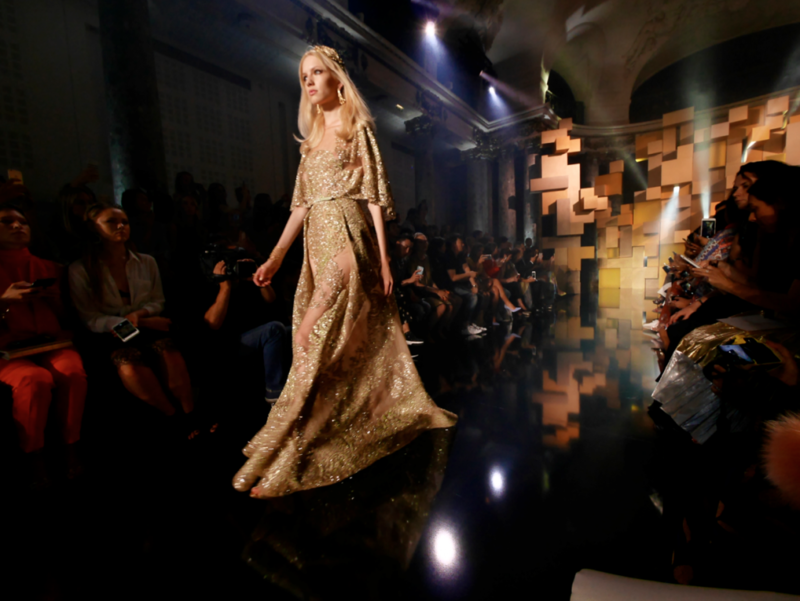 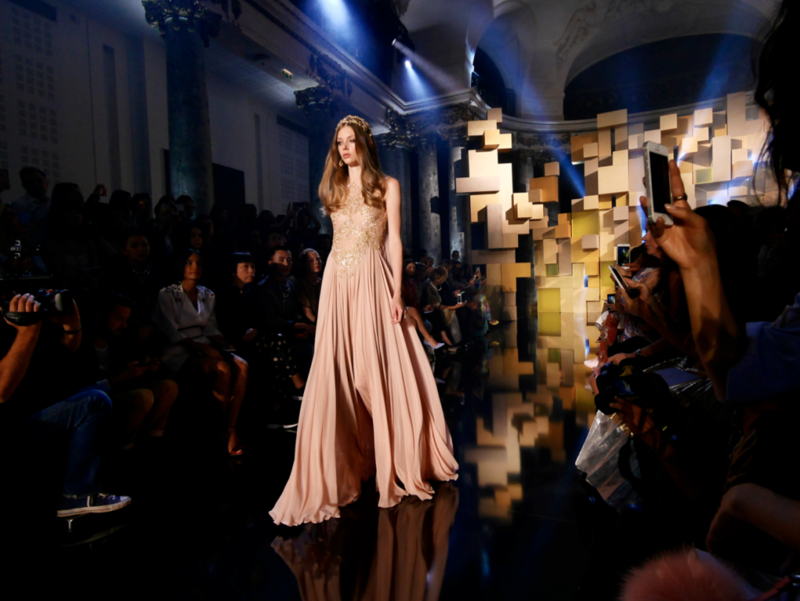 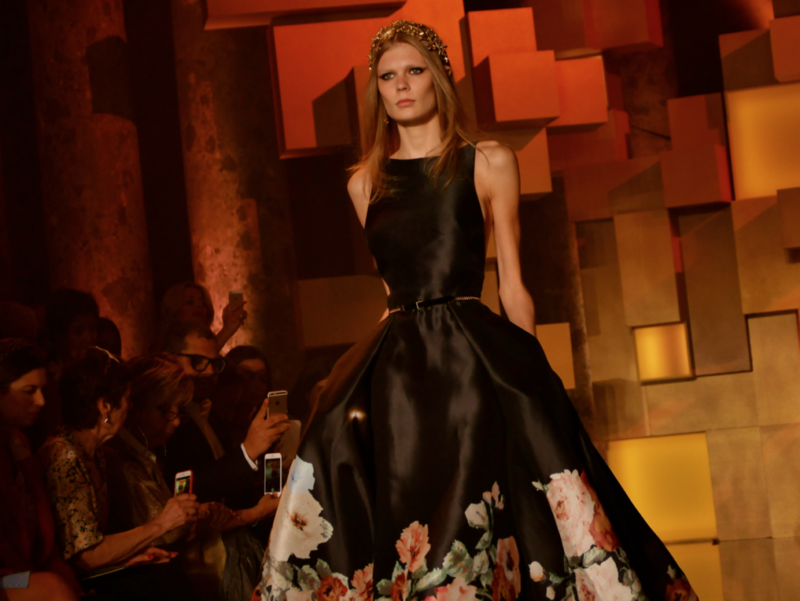 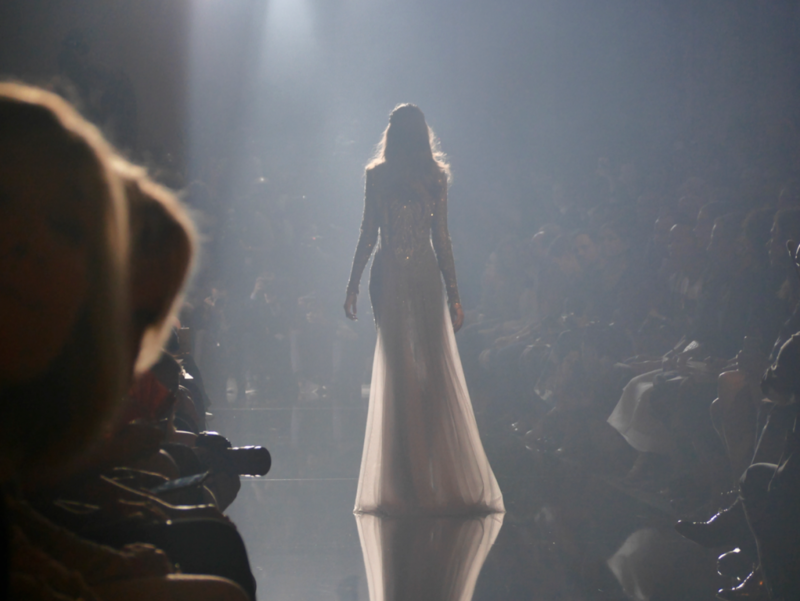 Elie Saab presented his Fall-Winter 2015 Haute couture collection this morning in Paris’ 1st Arrondissement. 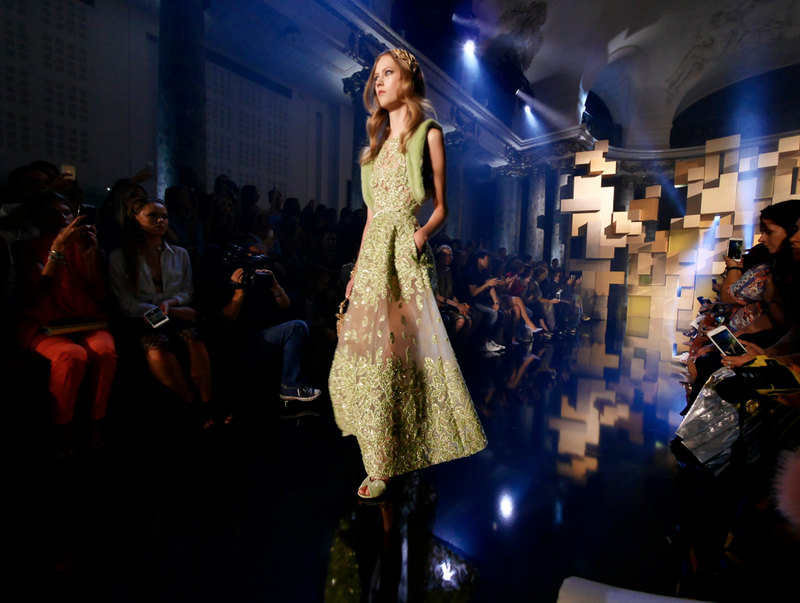 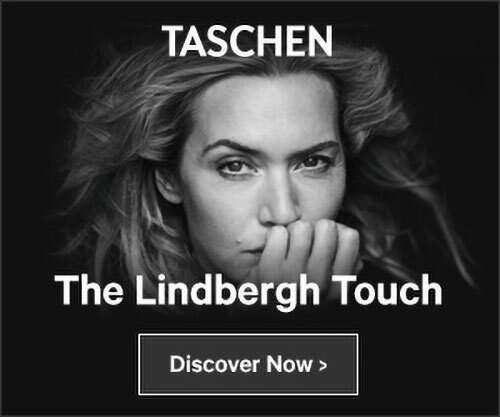 The House has always been synonymous with pure refinement, extreme femininity, and unique artisanal know-how. 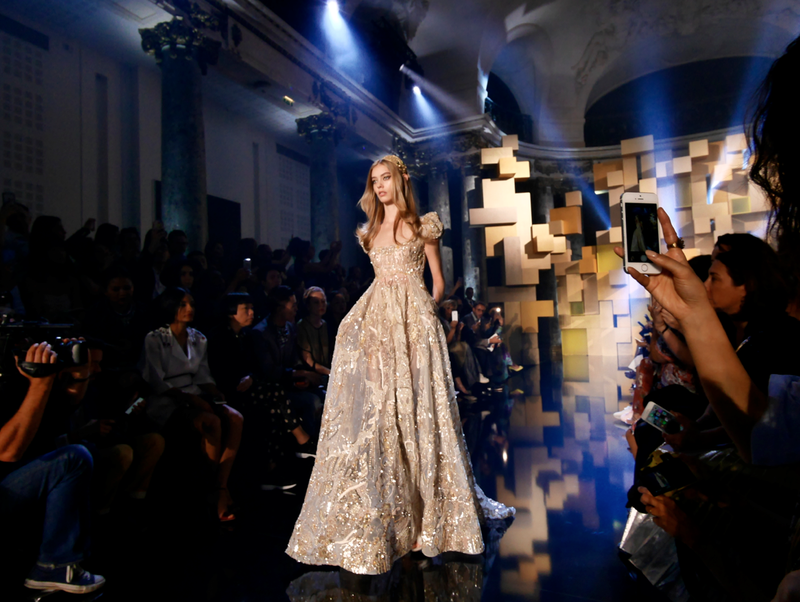 It also known for its oh so loved sparkle factor: thousands of beads, intricate embroideries, and the use of gold threads gave the extremely enthusiast audience a feast for their eyes. 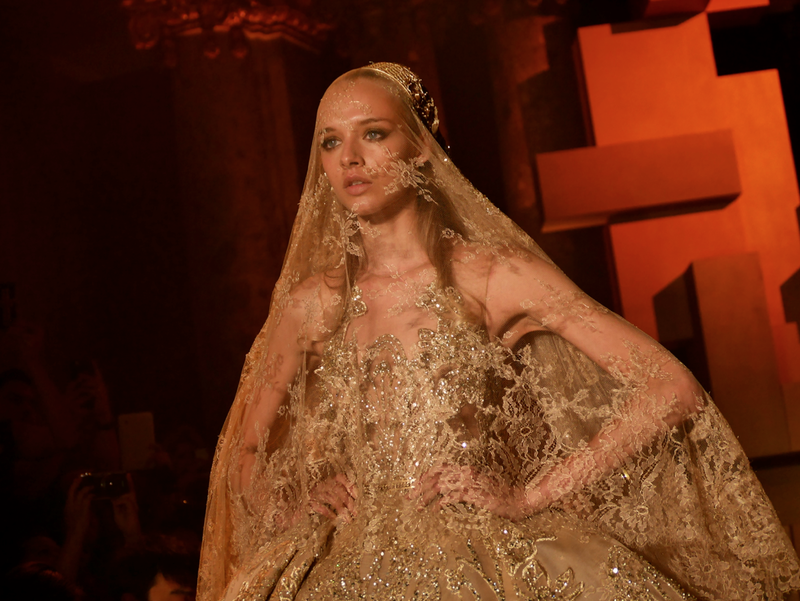 Gold was the common thread of this collection: embodying everything luxurious, it was present in many forms, whether it be on beautiful arabesques sewn on the dresses or as exquisite headpieces. 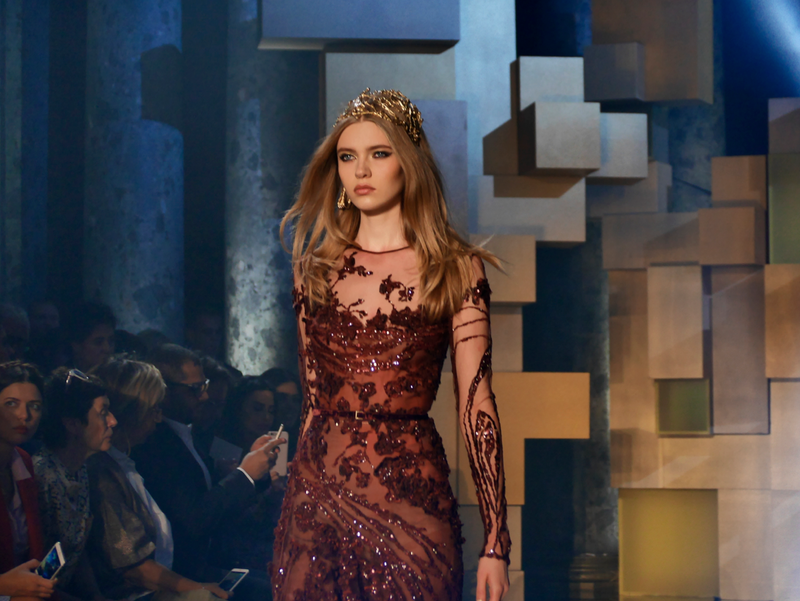 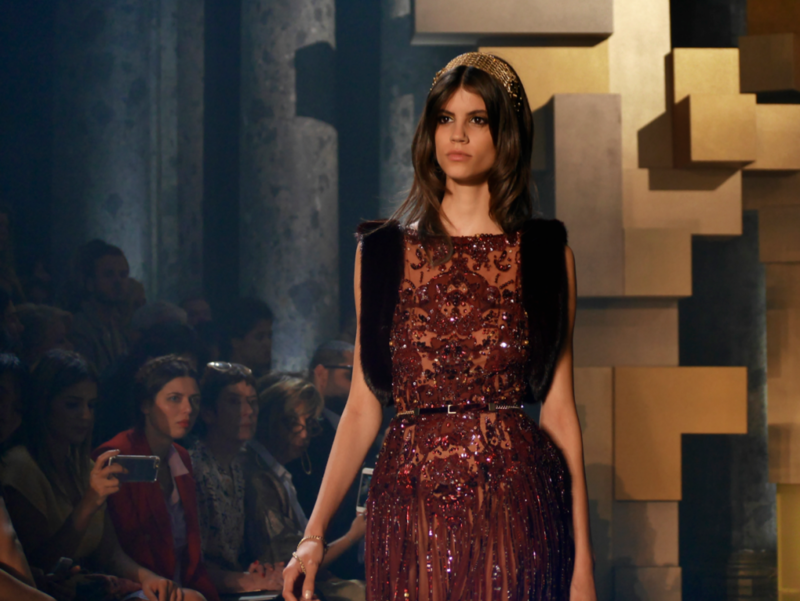 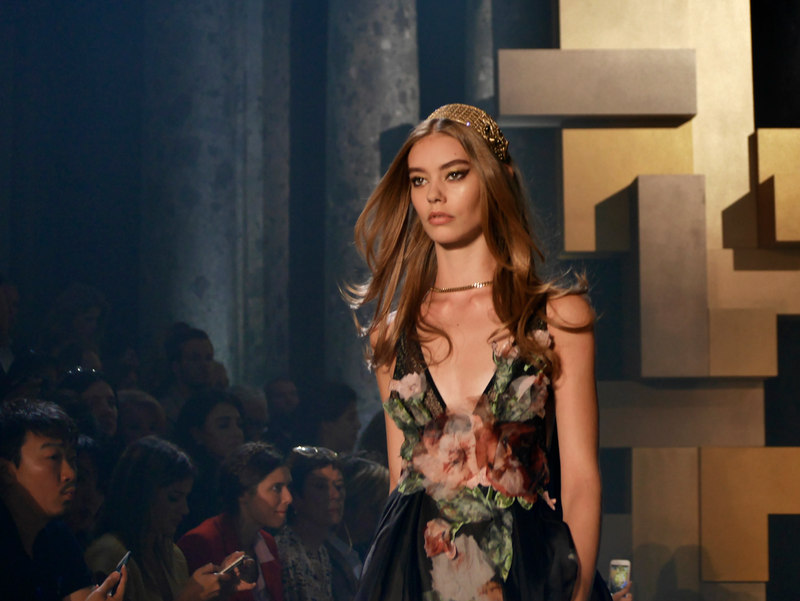 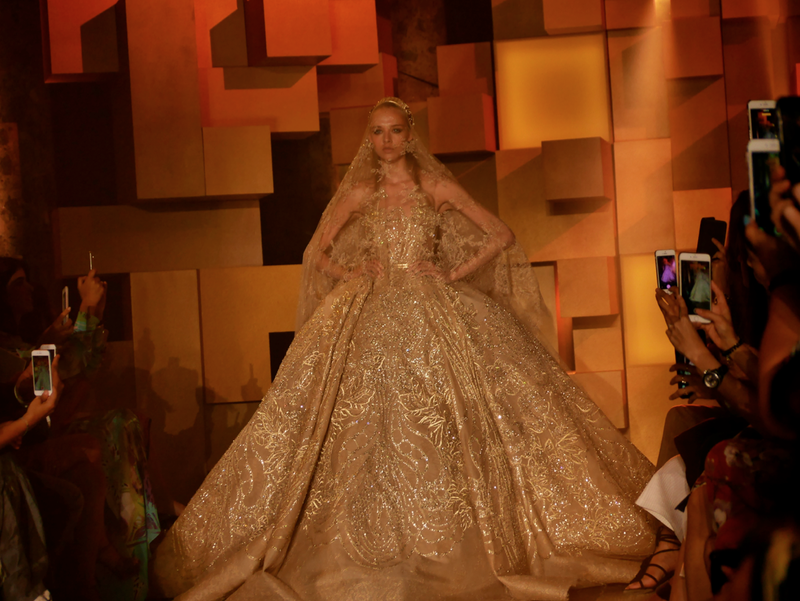 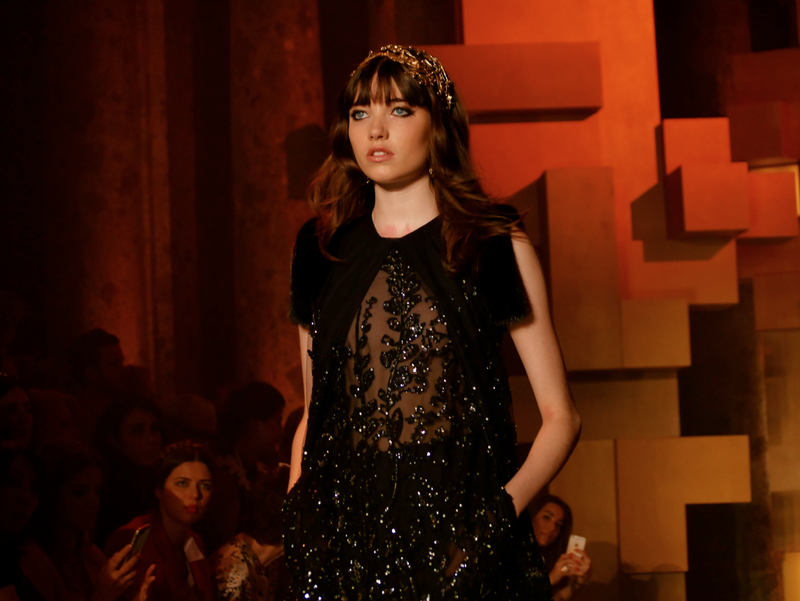 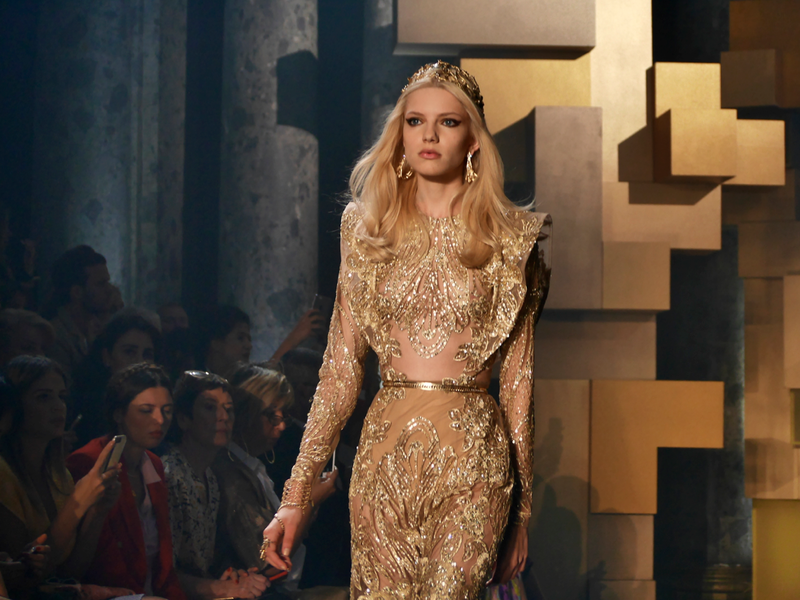 With each look, there was something of the Byzantine elegance and luxury. 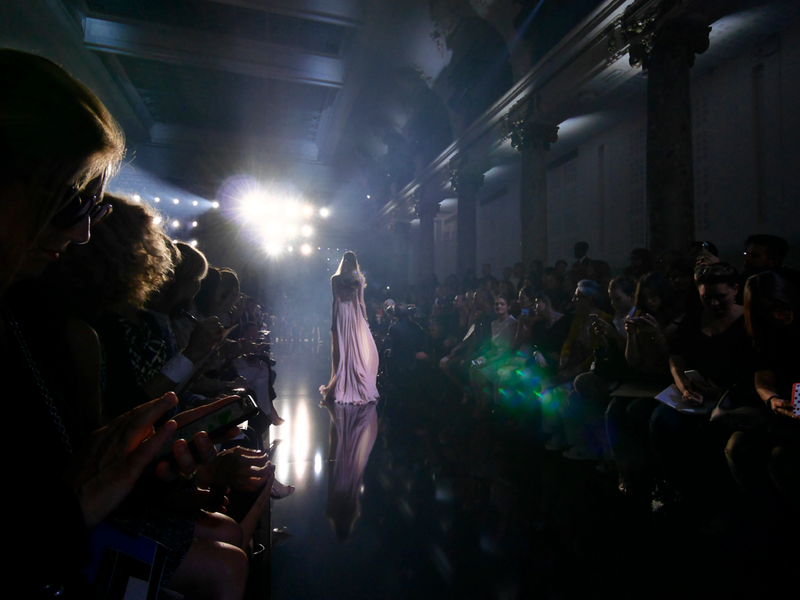 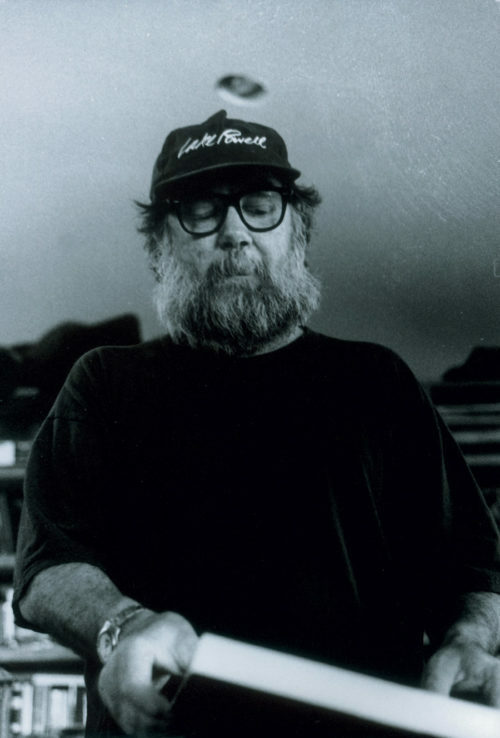 Frank Perrin takes you front row.